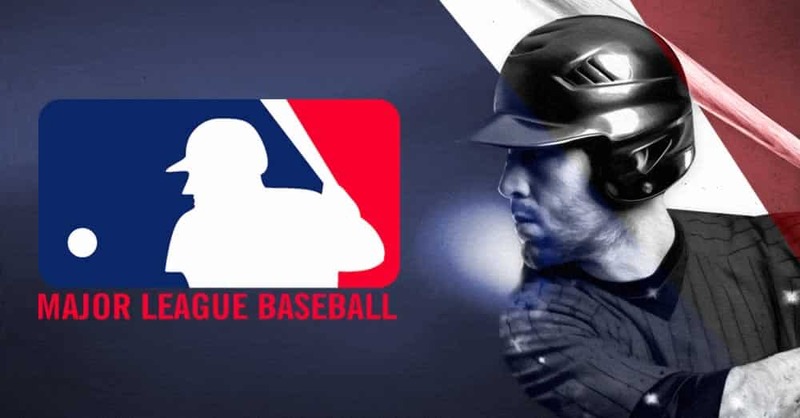 Major League Baseball has the longest sporting season of any professional league in the US, offering bettors well over 3000 preseason, regular season, and postseason games to wager on. There are 2430 games in the regular season alone, as each of the MLB’s 30 teams plays a whopping 162 games each year. Once you throw in live betting, you are looking at a sport with upwards of half a million different wagering opportunities each and every season! For numbers-crunchers and stats-minded bettors, there’s absolutely nothing else like legal MLB betting. Sabermetricians unite! With more and more land-based sportsbooks popping up throughout the US, betting on Major League action is getting more and more popular. However, it’s still going to be several years before all US states have comprehensive sports betting options, and more than any other sport, the MLB really needs ubiquitous mobile betting to take off before it reaches its full potential. MLB clubs play nearly every day, and no bettor can visit a casino or sports betting lounge that frequently. Therefore, offshore sports betting websites continue to be the #1 destinations for US MLB bettors. Is It Legal To Bet On MLB In All 50 States? Yes! With the Professional and Amateur Sports Protection Act (PASPA) no longer in effect, every state in America is allowed to legalize and regulate its own sports wagering industry. Most industry insiders estimate that within the next few years, upwards of 35 states will have sports betting industries operational within their borders. That said, ubiquitous online betting is the starting point for the avid MLB bettor, and that’s still only available at offshore sports betting sites. There are several differences to consider when deciding between land-based and online sportsbooks. Land-based books are typically located in casino venues, and while they’re great places to bet and watch the game, they’re not all that conducive to the daily needs of the serious MLB bettor. Additionally, a local sportsbook will tend to have inflated odds on any home teams in the region. For example, if you’re a big Yankees fan, betting at an upstate NY sportsbook will cost you a lot more than using an offshore sportsbook over the Internet. This isn’t just true with MLB betting, either. Any time a sportsbook is located near a popular local team, odds on that team will always be more expensive to compensate for all the extra “homer” bettors who tend to wager with their hearts and not their heads. If 90% of a sportsbook’s clients are picking one team over another, what might normally be a -110 runline wager is now going to be set at -130, seriously eating into your payout potential. Offshore books that accept players from all over the US, on the other hand, simply do not have this problem. Land-based books are great fun every once in a while, but for frequent MLB bettors, online books are batting 1.000! Signing up at the various legal offshore MLB betting sites is a simple, painless process. If you’ve ever registered a Netflix or Amazon account, then you know exactly what to expect. Just put in a few personal details like your name, age, email address, phone number, and so on, and you’ll be well on your way to placing real-money MLB wagers anytime you like. You can create an account at any top MLB sportsbook within 5 minutes. Joining an online sportsbook is great. But joining multiple online sportsbooks is even better! That’s because these books are competitors, just like the players and teams on the baseball diamond. As such, they’ve always got slightly different lines on all the day’s action. If you intend to maximize your profit potential, shopping lines to find the very best odds on any given matchup is absolutely the best edge you can get. Whether you’ve just been called up or you’re an old vet transitioning to first, shopping lines is going to increase your slugging percentage like crazy! One of the main hurdles to signing up with offshore books has traditionally been making your deposits in a timely manner. However, over the last few years, the process has been streamlined to the point where it really is just like any other online transaction. All of the top-tier online MLB sportsbooks having funding options that include via credit, debit, and even cryptocurrency. The quickest, cheapest, and best way to fund your account is to use cryptocurrencies like Bitcoin, Bitcoin Cash, Ethereum, Litecoin, or DASH. Additionally, depositing with crypto means you can withdraw with crypto, so you can get your payouts within hours rather than days or weeks. Bonuses can be tricky. While they do add substantial extra monies to your wagering account, bonuses also come with rigorous terms in the form of rollover requirements. While anyone should probably accept Bovada’s $250/5X bonus, most folks need to think long and hard before taking BetOnline’s or SportsBetting’s $1000/14X bonus, as this latter will take much longer to honor. That said, MLB bettors more than any other sports gamblers should consider accepting these bonuses, thanks to the sheer quantity of wagering opportunities available. You’re much more likely to meet the rollover requirements of your bonus when your team plays 162 games instead of just 16 games, for example. This is the MLB version of the point spread. As a matter of course, MLB bookmakers set runlines at 1.5 runs. Thus, a favorite will have runline odds of -1.5, while an underdog will have runline odds of +1.5. For a wager on a favorite to hit, that team must win by at least 2 runs. An underdog, meanwhile, will win the bet by winning outright or by losing by up to 1 run. Straight bets are based on the moneyline concept. A favorite will always have a negative moneyline, while an underdog will almost always have a positive moneyline. If the Yankees are -220 favorites to win a game, that means you bet $220 to win $100. If the Braves are +185 underdogs, you’ll win $185 on a $100 bet. These are not betting minimums, merely ratios. Most online MLB betting shops will take wagers of as little as $0.50. Totals bets do not take winners and losers into account. Instead, with totals bets, your bookie will assign a given contest an O/U number, and you simply pick whether both teams will combine to score more runs (“over”) or fewer runs (“under”) that total. Totals betting is commonly called over/under betting for this reason. Proposition bets are wagers you place on various in-game outcomes, whether from player or team perspectives. MLB player props include “yes/no” and O/U wagers on things like whether or not a given pitcher will get a win or how many strikeouts he’ll rack up in a specific contest. MLB team props apply to team-based stats like how many errors a club will commit or how many HRs they will hit in a given game. Five inning lines are essentially “halftime lines” for baseball. You can place runlines, straights, and totals as you would for a normal 9-inning game, except these are limited to the first five innings. First five innings lines are designed to take the bullpen out of your wagering considerations. MLB futures are essentially long-term props, and these are usually up year-round. The most common futures bets for the Majors are things like which teams will win their divisions and league championships and which team will win the World Series. Futures can also be awards-based, allowing you to wager on which players you think will win MVP, Rookie of the Year, the Cy Young, and so on. As a general rule, the longer out you wager on an MLB futures bet, the better your payoff is going to be. When you see a good value, swing for the fences! You can easily bet on the MLB via your smartphone at all of the top baseball betting sites. Whether you have an iPhone, an Android, or any other handset or tablet, you’ll be able to access all the odds from the palm of your hand. Every top offshore book has put together a mobile-optimized interface that natively fits your device of choice, allowing you to browse the boards and place your tickets in just a few taps and swipes. This gives you no excuses for missing out on MLB betting lines. Live betting is the newest phenomenon in the world of MLB betting, and all the top sites offer it for most games. Live betting is unlike traditional betting in that you can wager on dynamically-changing lines all game long. Live betting simply requires a lot of attention and a persistent Internet connection, so you can even participate via mobile! With live betting, you can wager on runlines, straights, totals, and even props as they change to reflect the current pace of a given game.